These 12 outstanding individuals epitomize what it means to be an emerging leader. While these women come from such diverse professional fields as business, government, education, technology and the arts, each one has each achieved impressive success early in her career and now faces new challenges as she moves into a more significant leadership role. Not only do these Fellows share a common desire to foster their own abilities as leaders, they are also actively empowering those around them and working to a positive societal impact in everything they do. By working with each other and with their mentors, every Fellow will develop her full potential as a high-impact leader. Maite Arce is the President/CEO of Hispanic Access Foundation (HAF), a national 501(c)3 nonprofit organization. Ms. Arce has a proven track record for executing successful grassroots outreach initiatives that reach Latino populations, particularly those with limited English language proficiency. She has fifteen years of experience developing innovative outreach strategies that effectively mobilize underrepresented populations; has build long term working relationships with faith and community based leaders with whom she designs and executes data driven and measurable outreach initiatives that connect individuals with vital information and resources and guide them through the process of transforming information into action. Ms. Arce formerly served as Executive Director (as well as Senior Programs and Policy Director) of the Self Reliance Foundation (SRF), a nonprofit with 30 year track record of informing and empowering the underserved. the Executive Director and Founder of Hispanic Access Foundation (HAF), a national 501(c)3 nonprofit organization. Ms. Arce has a proven track record for executing successful grassroots outreach initiatives that reach Latino populations, particularly those with limited English language proficiency. She has fifteen years of experience developing innovative outreach strategies that effectively mobilize underrepresented populations; has build long term working relationships with faith and community based leaders with whom she designs and executes data driven and measurable outreach initiatives that connect individuals with vital information and resources and guide them through the process of transforming information into action. Phaedra Boinodiris is a Senior Developer Advocacy Lead/Ecosystems Relationships at IBM. She was previously the Global Lead for Game Development Ecosystem. She has also worked as a Serious Games Program Manager at IBM where she is helping craft IBM’s serious games strategy in technical training, marketing, and leadership skill building. Currently, Phaedra is Global Lead for Game Development Ecosystem. She is the founder of the award-winning INNOV8 program, a series of games that teaches and evangelizes Business Process Management. INNOV8 is being used in over 1000 schools worldwide and is now available for public consumption. Boinodiris was honored by Women in Games International as one of the top 100 women in the games industry and received the Datamation Product of the Year Award. Prior to working at IBM, she has been an entrepreneur for 10 years, starting two companies in custom application/social network development and videogame consulting. She co-founded WomenGamers.Com, a popular women’s gaming portal on the Internet and started the first scholarship for women to attain degrees in game design and development in the US. Boinodiris received her MBA and her Bachelors in Math and Comp Sci from the University of North Carolina at Chapel Hill. UNC Chapel Hill honored Phaedra with a Young Alumni Award in 2013. She serves as an Advisory Board Member for the City of Raleigh's CIO Office and is a Coach/Advisory Board Member for Digital Connections. Jodi is the President of NIARA Consulting. Most recently Jodi was the Vice President of Corporate Social Responsibility & Philanthropy of NEXUS Brands, a corporation with community reinvestment through strategic partnerships with local non-profits at the core of its business philosophy. In this role, Jodi collaborates with experts in the areas of health, education and diversity in an effort to revitalize under-served communities’ commitment to healthy lifestyles, especially among youth. Jodi brings to the NEXUS Brands team twelve years of experience having founded and grown NIARA Consulting, a full service company that provides marketing and business development services to individuals, nonprofits, small businesses and corporations as well as career and college coaching for youth and professionals. Previously, Jodi served as Vice President of Sales Management Administration at the Merrill Lynch Center for Philanthropy and Nonprofit Management, where she managed the Center’s team of consultants, marketing events, and the partnerships. 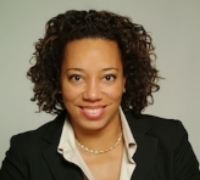 Prior to joining Merrill Lynch, Jodi was the Director of Alumni Affairs at the National Urban Fellows, Inc. She has held roles as Director of Corporate Relations at the New York Urban League Inc., and was a senior consultant to California State Senator Kevin Murray. Throughout her career, Jodi has demonstrated a strong commitment to empowering young people. She served as the program director for Banking on the Future, is a former New York City Teaching Fellow, and is currently a PENCIL partner at Democracy Prep Charter School. Jodi earned Master’s degrees from the University of Southern California in Social Work; from Baruch College in Public Affairs; and from the Hunter College School of Education. She completed her undergraduate studies at UCLA. Elizabeth Dahan is Director at Brunswick Group. Formerly, a Director of Macro Advisory Partners, providing political risk and new market entry analysis and advice, as well as advising investors and financial institutions on the implications of policy developments on their interests. In her role, Liz is responsible for developing and supporting market strategies, business development, and the expansion of the advisory team and global network (within the US and Middle East/Africa regions). Her previous position was as Vice President of Albright Stonebridge Group, a global strategy firm. As part of the Albright Stonebridge Middle East and Africa teams, Ms. Dahan helped clients navigate political and business challenges in Iraq, the Persian Gulf and North Africa. She also worked with the firm’s Managing Board on a range of core initiatives, including strategic growth plans and business development. Ms. Dahan has worked at the center of public policy, commerce and international relations for the last decade. Prior to joining Albright Stonebridge in 2006, Ms. Dahan worked closely with the Foreign Minister of the State of Qatar, utilizing her contacts in the foreign policy and congressional communities to develop and manage his relationships with government and opinion leaders in Western Europe and the U.S. Working with a team in the Ministry of Foreign Affairs, she also launched and managed a strategic messaging campaign to enhance Qatar’s image abroad and moved to Qatar in early 2005. Previously, she served as Special Assistant to the Chief of Staff for Senator Thomas Daschle, the Democratic Leader of the U.S. Senate. In addition to working on key policy initiatives, she coordinated and developed messaging for the Democratic legislative campaign for the U.S. Senate in 2004. From 2001 to 2003, Ms. Dahan worked as a Research Associate at the Council on Foreign Relations, where among other projects she edited and supervised Senator Warren B. Rudman’s Task Force on Emergency Responders. Ms. Dahan began her career as a Research Assistant at The World Bank Group. Ms. Dahan earned her Executive MBA at the Wharton School of the University of Pennsylvania. She earned her M.A. in Politics from New York University and graduated from The George Washington University with a dual-B.A. in International Affairs and Spanish Literature. She is a Term Member of the Council on Foreign Relations and Chair of the Board of Community Bridges, a non-profit that provides leadership programs for young diverse girls in the Washington, DC metro area. Ms. Dahan is fluent in Spanish. Liz was also a Manfred Worner Fellow, German Marshall Fund (2009). Erica Rosenfeld Halverson has spent her life participating in, designing for, and studying art-making. Erica is a theatre artist and the co-founder of Barrel of Monkeys, a Chicago-based arts-in-education organization that works with elementary school students who do not have regular arts programming to tap their creativity through writing and performance. Now in its 12th year, Barrel of Monkeys has an annual budget of $350,000 and serves hundreds and hundreds of Chicago's most underserved kids. While teaching and performing with Barrel of Monkeys, Erica got her PhD from Northwestern University in the Learning Sciences, an interdisciplinary field in education that focuses on how to design learning environments that account for learners' social, cultural, and cognitive needs. In getting her PhD, Erica developed a program of research that has demonstrated the ways that telling, adapting, and performing personal narratives encourages positive identity development for marginalized youth and stimulates their literacy learning. Erica took these insights to the University of Wisconsin-Madison, where she is currently an Associate Professor in the School of Education. Her current research efforts focus on digital art-making, including video, graphic arts, and audio. In 2010, this work earned her the prestigious Jan Hawkins Award for early career contributions to humanistic research and scholarship in learning technologies. Erica also spends a lot of time sharing her love of making art with her daughter Grace, her husband Rich, and her stepdaughter Katja. Nicole Isaac is Head of U.S. Public Policy at LinkedIn. As head of LinkedIn's US public policy and government affairs efforts,she is responsible for LinkedIn's day to day policy and government affairs portfolio, taking on primary responsibility for engaging with the Administration, Congress, and policy-oriented NGOs on issues ranging from privacy and security to workforce policy issues. She also conducts Economic Graph outreach and engagement to educate the U.S. government and other U.S. policy stakeholders on our Economic Graph work. She is the Founder of Code the Streets, a nonprofit that maximizes access to employment and opportunity resources for inner city youth through technology. Nicole is the Lead Strategic Coordinator for outreach to Federal, state, local electeds, foundations, and private sector partners to maximize support. Nicole has also worked as Head of Economic Graph Policy Partnerships at LinkedIn. Previously she was President of theGROUP, where she manages technology, fiscal and foreign policy clients for the strategic consulting and political intelligence firm. Nicole was previously a Special Assistant to the President for Legislative Affairs. In her role as Special Assistant, she guided President Obama's policy before the Judiciary, Financial Services, and Appropriations Committee of the House. She served as chief liaison to nearly 100 members of Congress and established herself with her effective oversight of tough legislative issues. Prior to Special Assistant, Nicole was the Deputy Director of Legislative Affairs in the Office of the Vice President. During that time, she was selected to participate in the President's first leadership development workshop. From 2007 through 2009, she worked as Floor Counsel to the Assistant Majority Leader, Senator Richard Durbin and was responsible for assisting with the management of the Senate Floor. In 2006, she worked as lead Counsel to the Democratic Caucus Committee on Organization, Study & Review, where she assisted with drafting the rules of the Caucus for the 110th Congress. In addition, during 2006, she worked as a law clerk to the Honorable Dikgang Moseneke, the Deputy Chief Justice of South Africa. From 2004 through 2006, she worked as Assistant Counsel with the House of Representatives, Office of Legislative Counsel and drafted hundreds of pieces of legislation for personal offices and committees of the United States House of Representatives. Nicole completed her Juris Doctor from the University of Pennsylvania Law School and also a Master of Arts degree in International Affairs from Columbia University, respectively, in 2004. She received her Bachelor of Arts degree from Brown University. She also recently completed a Master of Studies program in International Human Rights Law at Oxford University in the United Kingdom. Nicole has worked with the U.S. Department of State, the Government Accountability Office, the Securities & Exchange Commission, prominent law firms in New York and Paris, and with NGO’s in Geneva and South Africa. She served for over three years as Vice-Chair of the Young Lawyers Division of the Washington Bar Association. She is a native New Yorker and her parents are Caribbean immigrants. Dr. Joneigh S. Khaldun, MD, MPH, is a board-certified practicing emergency physician and an accomplished leader in injury and violence prevention, health policy, community outreach and program development. She is Medical Director of Detroit Health Department. As the Senior Advisor to the Executive Director and Health Officer, she leads the Department's Communicable Disease Program, clinical operations, and health system engagement work. She has also been a Clinical Assistant Professor at University of Maryland School of Medicine and Chief Medical Officer/Assistant Commissioner for Clinical Services at Baltimore City Health Department. Previously, Dr. Khaldun was Clinical Assistant Professor for the University of Maryland's School of Public Health Department of Health Services. At UMD, she researched, taught, and mentored projects related to health service delivery reform, access to care, and hospital-community partnerships. She is an Attending Physician at University of Maryland Emergency Medicine Network, serving Prince Georges Hospital, Laurel Regional Hospital, and Bowie Health Center. As a member of Frequent Presentation Committee, she helps in identifying needs and resources for patients with frequent ED utilization. She worked with senior hospital administration at Prince Georges Hospital Center to draft a Community Health Needs Assessment Implementation Strategic Plan. She is also a Clinical Assistant Professor and Director of Health Policy in the University of Maryland Department of Emergency Medicine, and an attending emergency physician in the Dimensions Healthcare System in Prince Georges’ County, Maryland. In that capacity, Dr. Khaldun teaches clinical medicine while implementing initiatives that improve the health conditions and quality of care for the patients she serves. Additionally, she is the Founder and Director of the University of Maryland Emergency Medicine Fellowship in Health Policy and Leadership, a program that gives early- career emergency physicians the tools to become effective change agents in the healthcare system. In 2012, Dr. Khaldun was a fellow in the Office of Health Reform in the U.S. Department of Health and Human Services (HHS), where she assisted with implementation of the Affordable Care Act (ACA). Her portfolio included public outreach and media communication, stakeholder engagement, and advising senior leaders on public heath issues. She worked with Surgeon General Dr. Regina Benjamin on the development of the National Prevention Council’s National Action Plan, the federal government’s ACA-mandated blueprint to advance multidisciplinary partnerships promoting health and wellness. She also worked closely with senior leadership in the HHS Offices of Minority Health, Women’s Health, and various federal agencies on projects such as developing the new Culturally and Linguistically Appropriate Services (CLAS) Standards, domestic violence prevention and intervention programs, supporting community health worker initiatives, and developing the 2012 HHS Environmental Justice Strategy. Dr. Khaldun has a particular interest in addressing the enormous toll injuries and violence takes on our communities. She helped develop a hospital-based violence prevention program in Brooklyn, New York, and was appointed Co-Facilitator of the District of Columbia’s Citywide Forum Youth Violence Prevention Workgroup in 2011. She is a former member of the Board of Directors of Break the Cycle, the leading national organization addressing teen dating violence. Dr. Khaldun was part of a national advisory committee that developed “The Facts Hurt: A State-by-State Injury Prevention Policy Report” produced by the Trust for America’s Health and the Robert Wood Johnson Foundation. She’s been an invited speaker nationally and locally on injury prevention and health policy, and previously served as the Director of the Center for Injury Prevention and Control at George Washington University. Dr. Khaldun obtained her B.S. in Biology from the University of Michigan, where she was a lettered long jumper and hurdler on the track and field team. She received an MD from the University of Pennsylvania School of Medicine and completed her emergency medicine residency training at Kings County Hospital/SUNY Downstate Medical Center in Brooklyn, New York, where she was elected chief resident from 2009-2010. In 2013, she received her MPH in Health Policy from George Washington University. Her culminating master’s project evaluated continuity of care policies for Medicaid beneficiaries in Maryland. Her leadership and expertise led her to be a 2013 appointee of the Montgomery County, Maryland Commission on Health. A native of Ann Arbor, Michigan, she lives outside of Washington, DC with her husband and three children. She enjoys running, mentoring, outdoors activities, and volunteering in her children’s schools. Sharmila L. Murthy is an Assistant Professor at Suffolk University Law School, a Visiting Scholar at Harvard Kennedy School of Government with the Sustainability Science Program, and part of the Water Diplomacy Workshop. With interest in examining legal and policy barriers to equitable water access and sustainable water management, Sharmila’s research and teaching focuses on human rights, poverty, the environment, and property law. Sharmila has written and spoken widely on the human right to safe drinking water and sanitation, as well as on international water law and diplomacy. In 2014, she was selected as a finalist for the United Nations Special Rapporteur on the human right to safe drinking water and sanitation. Prior to her Fellowship with the Impact Center, Sharmila was a Fellow at the Carr Center for Human Rights Policy at Harvard Kennedy School, where she is helped establish the Right to Water Initiative. She also practices law part-time. She is a former U.S. Fulbright Scholar in India who worked with the Self-Employed Women's Association (SEWA). The recipient of a Skadden Fellowship in 2004, she created the Refugee and Immigrant Partnership Project for Legal Empowerment (RIPPLE) at the Legal Aid Society of Middle Tennessee and the Cumberlands. For her efforts, she received the Tennessee Alliance of Legal Services “New Advocate of the Year” award in 2006. Thereafter, Sharmila practiced class action law with Lieff Cabraser Heimann & Bernstein, LLP. In 2009, Sharmila was awarded a Pegasus Scholarship through the American Inns of Court to study the U.K. legal system. She is the former President of the Board of Directors of the Tennessee Immigrant and Refugee Rights Coalition (TIRRC), was the founding President of the Nashville Chapter of the American Constitution Society for Law and Policy (ACS), and has served on the boards of numerous other professional and non-profit organizations. Sharmila received her JD from Harvard Law School, her MPA from Harvard Kennedy School, and her BS from Cornell University. From 2003-2004, she served as a law clerk to the Honorable Martha Craig Daughtrey on the U.S. Court of Appeals for the Sixth Circuit. Jessica Robinson Love is the Senior Director at Arabella Advisors. She leads Arabella's Managed Organizations team on the West Coast, helping donors and social entrepreneurs turn their philanthropic visions into reality by implementing innovative donor collaboratives, campaigns, and grant-making initiatives that help them achieve concrete goals. The Managed Organizations team oversees several nonprofits, including the New Venture Fund, Windward Fund and Hopewell funds, all a 501(c)(3) organizations, as well as the Sixteen Thirty Fund, a separate 501(c)(4). She was a Strategic Philanthropy Advisor and Social Impact Consultant of her own Jessica Robinson Love Consulting. She focuses on developing an effective theory of change , conducting field scans and evaluations, establishing grant making systems, and managing productive relationships with grantees. She provides support to foundations in developing and implementing programs for grantees, with a focus on community engagement, equity and inclusion. For nonprofit organizations, she provides strategic planning, capacity building, meeting facilitation, and systems design. Her techniques include design thinking and lean startup methodologies. She advises and coaches senior social sector leaders on sabbatical planning and succession strategies, as well as mentoring emerging social entrepreneurs. Previously, Jessica was the Executive and Artistic Director of CounterPULSE, a nonprofit theater that supports emerging artists. Over the last ten years, she has ushered CounterPULSE through a merger and relocation, expanding the organization’s budget ten-fold during her tenure as director. She designed and implemented CounterPULSE’s successful Artist in Residence program, and has curated dozens of performances and workshops. Philanthropedia, a division of GuideStar that helps donors make informed philanthropy decisions named CounterPULSE as one of the 21 most effective and highest-impact arts and culture organizations in the greater San Francisco Bay Area in 2010 and again in 2012. She has also served as guest curator for organizations such as Yerba Buena Center for the Arts and the San Francisco International Arts Festival. Her dance writing has been published in In Dance and on CriticalDance.com. Jessica served as adjunct faculty member at the New College of California where she has designed and implemented courses including “Activist Arts Synthesis”, “Arts Administration and Cultural Organizing” and “20th Century US History through the Arts.” During her tenure on the Isadora Duncan Dance Awards Committee she was responsible for curating and co-producing the annual Bay Area Dance Awards. She has served on the steering committee for San Francisco Arts Forum, the Theatre Bay Area Theatre Services Committee, the Dance/USA Emerging Leader Task Force, and the Executive Committee of the Board of Directors of Alternate ROOTS, a service and granting organization for community-based artists in the Southeastern United States. She has been the recipient of awards and scholarships from Dance/USA and the Bill T. Shannon Leadership Institute, was the inaugural recipient of the Bay Area Dancers’ Choice Award for her service to the dance community, and represented the United States as part of the American delegation to the International Tanzmesse in Dusseldorf, Germany. She was selected as one of the nation's top 50 arts CEOs to participate in the National Arts Strategies Chief Executive Program, a series of national convenings at Harvard Business School, University of Michigan and Sundance to address the future challenges of the field. She was twice named Most Valuable Player in the Dance Field by San Francisco Chronicle (2008, 2013). Kate is Partner and COO of SS+K. She was previously the Vice President, Executive Director for SS+K's Consulting Group, a New York-based creative marketing and communications agency, where she combines her knowledge of cutting-edge marketing strategy with a commitment to advocacy. Leading SS+K's social media offering, she helps the firm's clients engage more effectively with customers and constituents through community outreach and grass-roots engagement. At SS+K Kate has also directed campaigns for General Motors and the Betty Ford Institute, among many others. Previously, Kate was a public affairs specialist at AGG International, a consultancy to European businesses active in the U.S. market, and at RF|Binder Partners, a public relations firm in New York. Kate holds an undergraduate degree in English and French from Amherst College. As a Board Member for City College of New York, she supports and guides the Branding and Integrated Communications (BIC) Masters program. Victoria Salinas is a Chilean-American from Austin, Texas dedicated to helping communities in crisis come back better and stronger following natural and human-caused disasters. She is currently Director of Program for FUSE Corps. FUSE is a national nonprofit that enables local government to more effectively address the most pressing challenges facing urban communities. In pursuit of this mission, FUSE runs an executive-level fellowship program in civic innovation that is focused on accelerating cross-sector collaboration and community-based problem solving. She has been a Chief Resilience Officer & Deputy City Administrator for City of Oakland & 100 Resilient Cities Initiative. In September 2011, Victoria joined GFDRR’s Sustainable Recovery Team (SRFF/Track III) as a Disaster Risk Management specialist focused on strengthening GFDRR’s post-disaster support to countries and facilitating donor coordination and partnerships. Immediately prior, Victoria was Deputy Branch Chief for Long-term Community Recovery at the US Federal Emergency Management Agency, where she joined in 2005 (following Hurricane Katrina) to help build and deliver an interagency program that aids states and communities with redevelopment planning, coordination, and resource mobilization. While at FEMA, Victoria helped lead numerous federal disaster recovery field operations, and spearhead development of the US’s National Disaster Recovery Framework. Victoria also brings with her post-conflict recovery experience as a coordinator of United Nations peace building projects, Strategic Planner for the State Department’s Office of Reconstruction and Stabilization, and as a researcher for the World Bank’s Post Conflict Unit. She has a Master's from Harvard University and Bachelor's from Georgetown University. Mindi Walker currently serves as Republican Professional Staff for the Senate Committee on Veterans’ Affairs. In this position, she advises Committee Ranking Member Richard Burr (R-NC) on policy initiatives and legislation affecting veterans. Prior to accepting this position, Ms. Walker was appointed by President George W. Bush to serve within the Office of Congressional and Legislative Affairs at the United States Department of Veterans Affairs, where she functioned as a liaison between Congress and the Department under Secretary James Nicholson and Secretary James Peake, M.D. Ms. Walker began her political career performing duties in a legislative capacity for the State Legislature in Indiana. She then functioned as grassroots coordinator for the Hoosier Daylight Coalition. Ms. Walker served for several years as Professional Staff for the Government Reform and Oversight Committee under Chairmen Dan Burton (R-IN) and Tom Davis (R-VA) covering a broad range of health, human rights, energy, science and national security issues. Ms. Walker then operated as the Government Relations Associate/Lobbyist for the Federation for American Immigration Reform before receiving her appointment to the administration of President Bush. Born at Andrews Air Force Base, Ms. Walker is a graduate of Indiana University, and also served as an Instructional Team Member at the Purdue University School of Science. She received her Master of Professional Studies from The George Washington University in Legislative Affairs, and is currently attending the United States Naval War College in pursuit of a Masters Degree in National Security.